Another chapter has recently been closed in a highly controversial Owings Mills law enforcement shooting. 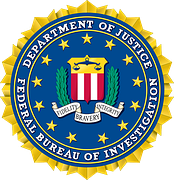 This past week, the Baltimore County State’s Attorney’s Office announced that charges will not be filed against any of the multiple FBI agents who shot and killed a suspect who was under investigation for drug trafficking. Public details of the shooting have been sparse, but we do know that the deceased was a 34 year-old man with a lengthy criminal history in Baltimore City, and alleged gang ties. The man had been under surveillance by local police and the FBI, but on the day in question back in April, something went terribly wrong. Various reports say that law enforcement surrounded the man when he was in his car, and ordered him out of the vehicle with weapons drawn. Officers identified themselves as police, and were all wearing visible law enforcement gear, but their efforts to peacefully detain their suspect were unsuccessful, as the man allegedly put his car into reverse and attempted to drive through a makeshift police blockade. At some point the man’s car struck another vehicle, and it was at this moment when the FBI agents opened fire on the deceased, discharging a total of nineteen rounds. Six of the shots struck the man, and he died on the scene. In the weeks that followed the incident there were few details that were made public, including the names of the law enforcement officers involved. Baltimore County police conducted an investigation and wrote up a report, but did not issue any charging documents. Rather, the investigation was forwarded over to the State’s Attorney for a final decision on whether to charge any of the shooters. There is precedent in both the city and the county to charge police officers with various crimes including manslaughter, reckless endangerment, and even murder, but there are no recent cases where federal law enforcement officers have been charged by a state agency for an on-duty shooting. But after examining all the available information, the Baltimore County State’s Attorney concluded that the shooting was justified because the deceased placed each of the law enforcement officers in reasonable fear of death or great bodily harm. Legally speaking, there is no question that a car can be used as a deadly weapon. Therefore, if the County’s top prosecutor believed the man tried to flee the scene at all costs then it follows that he would believe the cops were justified in using deadly force. The State’s Attorney’s decision would likely have been the same if the officers were all local cops. But there is no doubt that the fact that these officers were FBI agents held some weight. Federal law enforcement agencies have higher standards of acceptance and generally offer more thorough training. Not to mention it would have been a political nightmare for the County to take on the federal government. Baltimore County is not alone in declining to charge the FBI in a shooting, as records show that all of the 70 fatal FBI shootings from 1993 to 2011 were found justified. The feds are also conducting their own investigation of the Owings Mills incident, but it would be surprising if their opinion of the case were any different. The Blog will follow the aftermath of this incident, and may post a follow up article if there are any new developments. Benjamin Herbst is a Maryland criminal defense attorney who specializes in weapons crimes and drug offenses. Contact Benjamin for a free consultation about your case at anytime. FBI Agents Will Not Be Charged In Owings Mills Shooting, baltimoresun.com.